全新的文件传输工具. 可以轻松做目录对目录 磁盘对磁盘的文件同步操作 支持FTP 等多种协议 . ForkLift is a new file transfer solution that not a lot of people have heard of yet. MacUpdate has decided to partner with the great folks at BinaryNights to expose to the world what we're calling "the next Transmit." We think that ForkLift's developers are adding features at a faster pace than the most popular FTP client on the Mac. We think Forklift has a strong chance of pulling out from the shadows and becoming the next major file transfer app on the Mac. Be sure to check out some of the demonstration videos of ForkLift's capabilities. 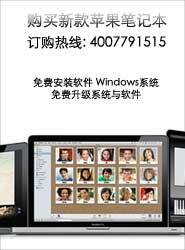 ForkLift 3.1 2017-11-12 全新的文件传输工具. 可以轻松做目录对目录 磁盘对磁盘的文件同步操作 支持F..